Need Dental X-Rays But Don't Have Dental Insurance? No Dental Insurance But Need Dental X-Rays? Dental x-rays are a necessary part of going to the dentist. However, the amount of x-rays you need depends on the condition of your mouth and teeth and how often you change dental offices. Some people need to get x-rays every six months, whereas others only need them every couple of years. Whichever category you fall into, it’s important to understand how much dental x-rays cost without dental insurance (dental insurance), why dentists recommend them and the different types of dental x-rays your dentist might use. How Much Does it Cost to Get Dental X-Rays? Why Do I Need to Get X-Rays? There are two types of dental x-rays: intraoral x-rays and extraoral x-rays. Bite-Wing X-Rays: These x-rays show the upper and lower teeth in one area of your mouth. Bite-wing x-rays are often used to detect tooth decay between teeth and monitor any abnormalities in bone density, which could be a result of gum disease. Periapical X-Rays: Periapical x-rays show dentists the whole tooth, even to the end of the root of the tooth. These x-rays are used to monitor any changes in root structure and the surrounding bone structure. Occlusal X-Rays: Using occlusal x-rays are great for showing full tooth development and placement on a larger scale. 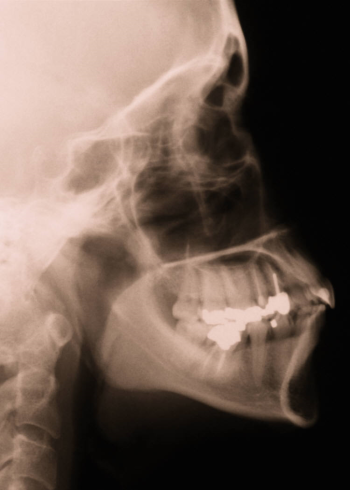 Panoramic X-Rays: They show all of the teeth in the upper and lower jaws on a single x-ray. Panoramic x-rays can show dentists the positioning of teeth in the mouth. Sialography: A dye is needed for this x-ray. The dye is injected into the salivary glands and then the x-ray is taken. This x-ray would be used if a dentist is worried about salivary gland problems. Tomograms: Tomograms target in on one particular area of the mouth and blur out everything else. If there are areas of the mouth that are difficult for him to see, he may request a tomogram to see the area more clearly. Computed tomography: This is also known as CT scanning and is usually done in a hospital or radiology center. It is used to identify any problems in the bones of the face. Computed tomography is also very useful in helping evaluate the placement of dental implants and working on difficult extractions in the mouth. Cephalometric Projections: Cephalometric Projections show the side of the head. It is helpful for seeing the relation between the teeth and the jaw and profile of a person. This type of x-ray can be very beneficial for orthodontists when planning their treatment. While the prices listed above for someone without insurance are not too terribly high, imagine what you could save by using an insurance alternative like the Careington 500 Series plan. This is a nationwide discount Dental Plan, but we’ve listed just a few sample price lists below for individuals who live in California, New York and Texas. See what you might save on dental x-rays with the Careington 500 plan. As you can see, there are many types of dental x-rays and reasons to have them done. The prices vary from one to the other so understanding all you can about each type is helpful as you go in to have your own dental x-rays done. Stay ahead of the curve by realizing how much you can save on dental x-rays simply by choosing a dental insurance alternative like our discount dental plans. You’ll be able to keep more money in your pocket and get the needed dental x-rays that you need at the dentist.